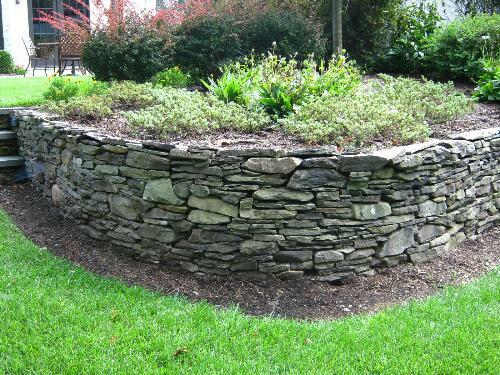 Dry-laid retaining wall: These types of retaining walls use either a natural stone or segmented block that is built upon a compacted base. The key here is to make sure that the base is properly compacted and there are several courses of retaining wall material installed below grade. It is also important to make sure that these retaining walls have a batter, which means that it is stepped back into the slope and will not fail and fall forward from soil and water back-pressure. When constructing dry-laid retaining walls of a height greater than 4 feet, you may also need to install a geo-grid fabric, which uses the weight of the back-fill material as an anchor to hold the retaining wall in place. 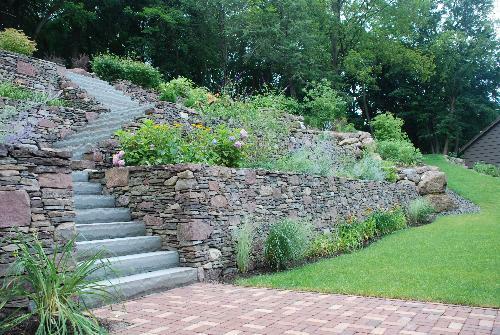 There are many options of natural stone used in dry laid retaining walls such as Bluestone, Pennsylvania Fieldstone and Carney Boulders. For segmented retaining walls there are many brands, colors and textures available and a full range of sizes to choose from. The strength and overall look of your retaining wall will likely vary depending on the wall’s height. Concrete block or poured concrete retaining walls This is a good choice for homeowners with limited space where it would be difficult to install a geo-grid support system or batter. It’s important that these walls are also built on top of a compacted sub grade and that it is below the local frost line. In Bergen County and surrounding areas in northern New Jersey, this is usually forty inches or so below grade. After the concrete wall is installed, a veneer stone is applied to the surface of the wall that complements the style or your home and property. With so many veneer stone choices in the market today, this type of retaining wall is often selected when incorporating the wall into other structures like outdoor fireplaces, garden architecture, water features, and outdoor kitchens. 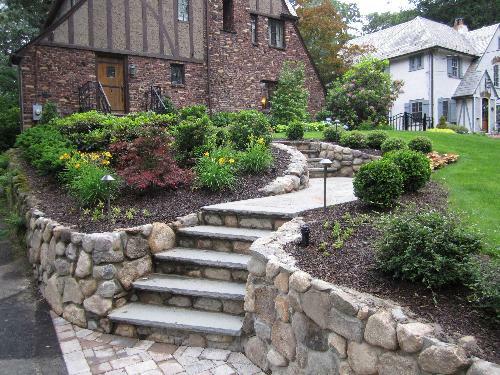 Be sure to consult an experienced landscape designer when navigating the many choices of material and techniques for installing landscape stone retaining walls. 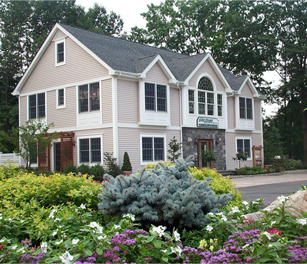 Whether you live in Bergen County or a surrounding town in northern New Jersey, it is important to first know the needs of your landscape site and the materials that will best match those needs. With this post i have gain lots of information about different type of retaining wall and which type of wall we have to choose. This information was really helpful. I've been trying to figure out how to build a retaining wall. 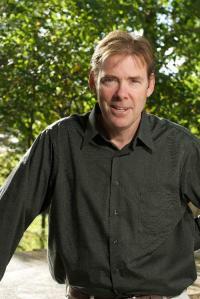 The information about whether a concrete block or poured concrete retaining wall is better was very helpful. I have limited space in my garden, so it seems like a good idea to install a geo-grid support system for my wall. The retaining wall you construct has to be strong enough to offset the pushing force of the soil. As you were about to post this type of blog, I was in waiting to be with your words and to share my own thoughts with you. Thanks for posting for us.